Praised by jazz legend Sheila Jordan as “a beautiful voice with deep feeling”, Sardinian jazz singer and song-writer Lucia Fodde belongs to the wave of Italian jazz artists bringing innovative sounds to the power of traditional rhythms. With a voice that is sultry and unforgettable, just like the island that gave her birth, Lucia has an amazing sense of musicality and precision. There is a haunting quality in her performances that makes you want for more. Yet, her intricate improvisations seem as effortless as breathing, her delivery always warm and personal. 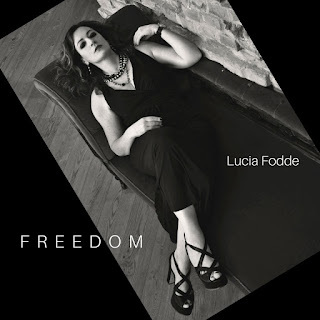 After singing in jazz trios and quartets with a number of Italian and international artists, Lucia publishes her first record, "Just One Of Those Things - A Tribute to Cole Porter", with the Lov’n Jazz Quartet (Lucia Fodde vocals, Paolo Carrus piano, Massimo Tore double bass, Roberto Migoni percussion), maturing a style that takes traditional arrangements into a modern jazz context. Equally passionate as a song-writer and as a vocalist, Lucia has moved to Berlin in 2013 where she is definitely part of the local jazz scene, performing in the best jazz clubs in town and in Germany. While she is working at her new album, the first in which she sings a number of her original own songs.